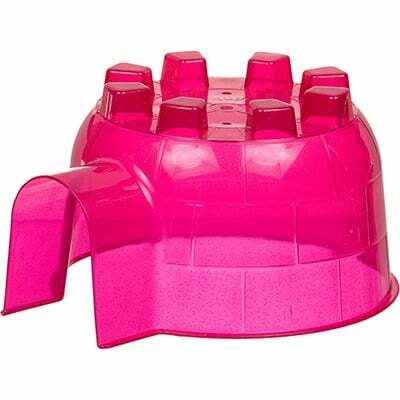 Super Pet Igloos are made of translucent plastic so you can see your pet inside its Igloo even when your pet thinks its hiding! Igloos are constructed from durable plastic making them easy to clean, plus they're odor and stain resistant. Igloo's one piece design is easy to use and every Igloo has fresh air vents to ensure your pets health and well-being. Igloos make a “Cool” hideout for Guinea Pigs, Ferrets, Dwarf Rabbits, Chinchillas, Rats, Hamsters, and other similar-sized pets.